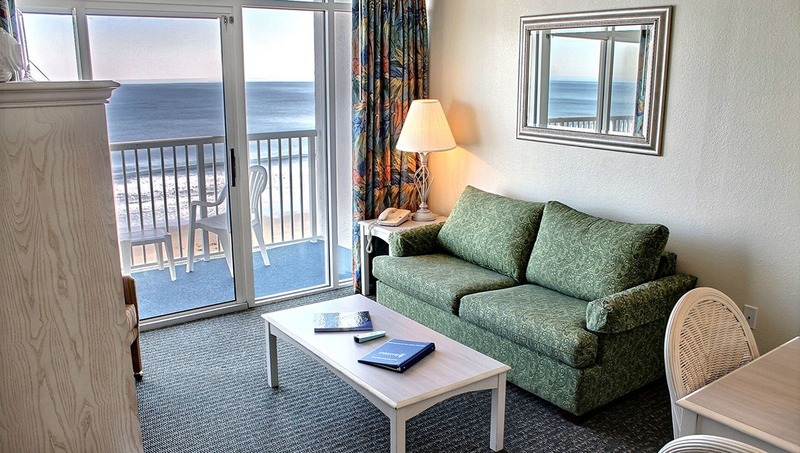 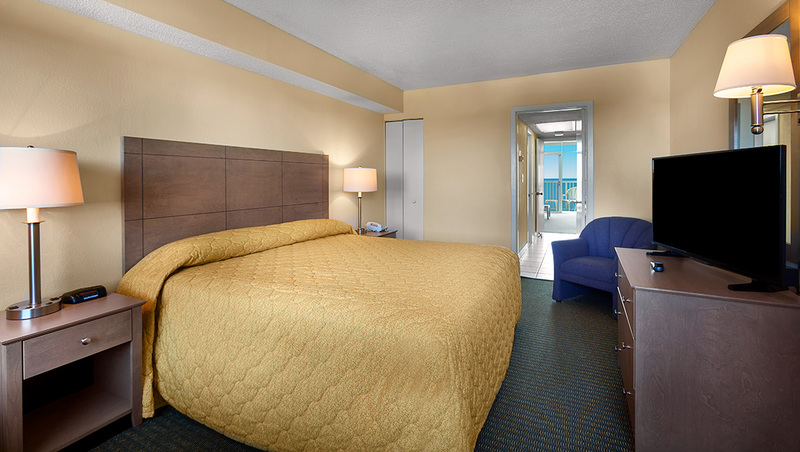 The Oceanfront One Bedroom Deluxe is located in the North Tower and features one king bed, one bathroom, full kitchen, washer/dryer and a sofa bed. 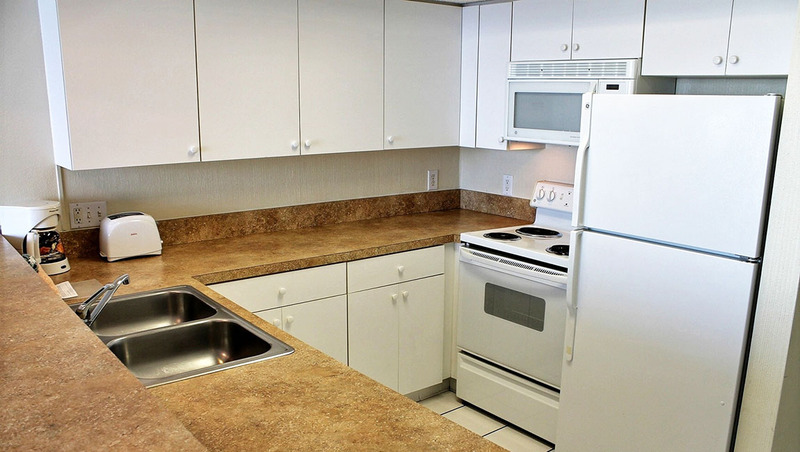 The maximum occupancy for this unit is four people and includes daily housekeeping. 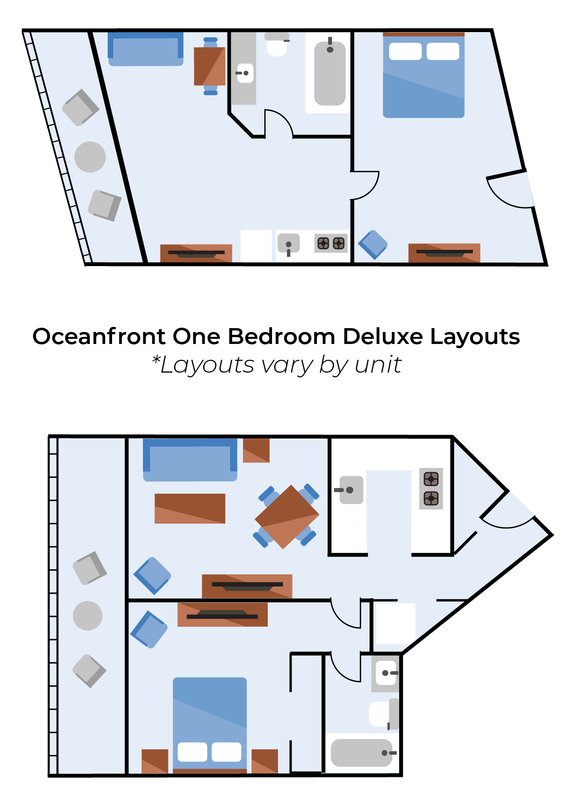 One of the top features of the Oceanfront One Bedroom deluxe is the full kitchen, which makes it easy to prepare a quick meal or store plenty of snacks and drinks.